5 minutes… Fanny Liao, Senior Vice President of Far Eastern New Century. Polyester is the main polymer used in the textile industry but it is highly unsustainable. 40 million tons of the material are produced worldwide every year which makes it one of the largest and fastest growing synthetic fibres in the world. A crucial raw material in its production is paraxlene which is made from crude oil. Taiwanese Far Eastern New Century is a leading textile company which produces synthetic fibres and other materials. They recently collaborated with Virent, a bio-based company converting plant sugars to replace chemicals and fuels. This partnership has seen the production of the first 100% plant based polyester fabric. But this is not all the Taiwanese firm have been working on. In 2014-15 they were behind the demonstrations for Coca Cola’s 100% plant based plastic bottles which could be commercially available by 2020. Far Eastern New Century (FENC) is the parent company of Far Eastern Group, one of the largest conglomerates in Taiwan which specialises in ten industries including petrochemical, retail and transportation but its main activity is the production of textiles. The company was first established in 1949 and after 66 years it has become the most integrated polyester textile company in the world. This week Emily O’Dowd shared five minutes with Fanny Liao, Senior Vice President of Far Eastern New Century, Research and Development Centre. Emily O’Dowd (EOD): What has led you to this role? Fanny Liao (FL): I have always had an interest in the bio-based industry. I completed a PhD at the State University of New York – Stony Brook University in Bioorganic Chemistry. Since then I have been worked at Far Eastern New Century (FENC) for 18 years To begin with I was employed by the sister company Oriental Union Chemical Corporation (OUCC) which produces one of key raw materials of polyester. I am the president of Oriental Resources Development Ltd, the joint venture of FENC and OUCC to produce recycled polyester flakes from post-consumer bottles. Now at FNEC my current role is Senior Vice President for the research and development centre for renewable chemicals and plastics such as cellulosic ethanol and bioplastics including PLA, bio-PET and other bio-polyesters. I still enjoy my job as much as I did 18 years ago! We are committed to commercialising the first 100% bio-polyester shirt. EOD: What do you enjoy most about your role? FL: An important part of the role I love is working behind the scenes with the innovative technology. I work with top collaborators around the world to promote new technology and bio-based fibres which are available in the industry. Another aspect that I enjoy is being able to educate people about the importance of bio-based polyesters and helping to make that small difference in a world that has to look towards change. EOD: What is the biggest challenge that you have faced in the industry? FL: One of the biggest issues that we are facing is the price of oil at the moment. The costs are too low, so this means that the recycled polyester materials are more expensive than the original petrol based polyesters that are marketed on a mass scale.There is still a lot of competition for our business. As a result, we are finding it difficult to encourage our consumers to make sustainable choices especially when incurring these higher costs. Additionally, many potential customers find the industry confusing because they have doubts about the bio-polyester manufacturing process. This has meant that I now work on a lot of conferences with Textile Exchange organisations that try to educate consumers about bio-based and recycled materials which are crucial for sustainability. EOD: What advice would you give for someone starting work in the sustainable industry? FL: I think people need to start having a greater awareness about recycled polyester and see it as a buying option. It’s all about how the consumer can see the potential in bio-polyester. It can also be recycled so you can use it again to reduce your carbon footprint. EOD: What single change would help develop the sustainable industry further? FL: It would be very beneficial if the government were able to launch a campaign about the innovative bio-based products and services which have made their way into global markets. Additionally, there needs to be more funding for companies and non-profit organisations especially at a time when oil prices are so low. We need to encourage more people to enter this industry as well as encouraging responsible buying habits. 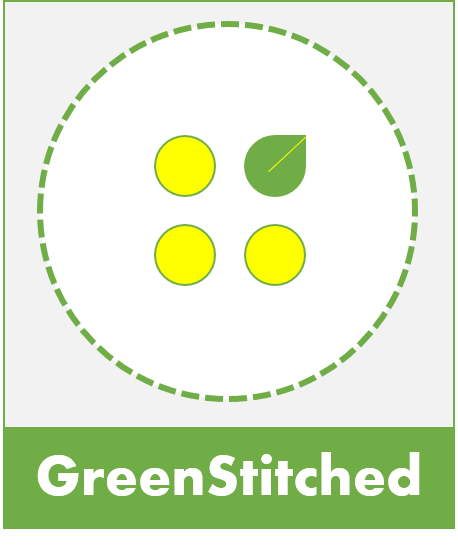 For example, some people in the textile industry refuse to put ‘recycled’ on their labels because consumers might get confused and believe that it is second-hand or that it might be bio-degradable! The government needs to help change these perceptions. EOD: Where would you like to see your company in 5 years’ time? FL: We hope we can bring more recycled and bio-based alternatives to a wider range of customers and then in turn more consumers can accept these kind of products. My research and development team have been working on the production of bio-based chemicals as well as cellulosic ethanol production. So far we have looked to reduce our dependence on crude oil and produce environmental friendly polyester products. We are focusing on synthesising bio-based monomers which will be able to partly or wholly replace the petrol-based ones. Our next 5-year goal is to commercialise these two developing products from current 30% bio-based commercialisation to a 100% bio-based one. EOD: Thank you for sharing your experiences with us today, we wish you every success in the commercialisation of your bio-based polyester fabrics. This entry was posted in Conversations and tagged biobased, Coca Cola, Far Eastern New Century, paraxlene, polyester, recycled polyester, Taiwan, Virent.